When my kids were little, I had a rule that I never broke. When they held my hand, I made sure to hold on tight and to never be the first one to let go. I lost my own mom to cancer when I was in my twenties so I had some insight into how short time can be; these moments were going to pass quickly and I wanted to make them last as long as possible. 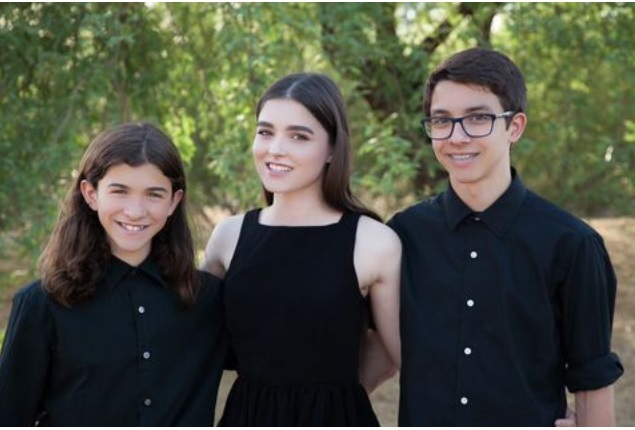 Today, all my kids are taller than I am...I don't get to hold their hands much anymore and I certainly don't get to tuck them into bed every night, telling them how very lucky I am to be their mommy. Jaime Rose, Nick and John are my reason to be better everyday and I love watching the success they achieve at this game called life. Recently, while hiking with my friend Kelli, we started a conversation about fit and active moms. We both have teenagers who are involved in sports and we believe that one of our contributions to their lives is conveying our passion for being active everyday. During this talk, Kelli asked me if my own mother was active; and I had to answer, "no." Sadly, I have pictures in my mind of my mom...standing in the driveway, waving goodbye as her four active kids rode off on their bikes because she couldn't ride a bike. And then there's the picture of her standing on the front porch watching as we played basketball in the driveway, or waving as we left with our tennis rackets to go play at the neighborhood court, or telling me as I swam lap after lap in our pool, "Linda Marie, you better not get a cramp! You know I can't swim." She would remind me that she grew up in New York City and back then, girls just didn't play sports..she didn't have that opportunity. It made me incredibly sad as a kid because I LOVED moving, competing with myself, feeling the power in my legs as I rode fast on my bike, being able to do more sit-ups than my brothers...it was all great fun. And I thought then...I think I was eleven years old at the time, that once I became a mom, I would be the kind of mom who could play sports with her kids. Today, on Mother's day, I'll be on my roller blades with my boys, passing the orange ball back and forth as we fly through the neighborhood. And I'll be wondering if there's a little girl, peeking out her window, watching us fly by and thinking, "That looks like fun! Someday, I want to be an active mom too."